We carry a large selection of Baseball / Softball Combo pitching machines from ATEC, Heater, Bata, First Pitch and more. 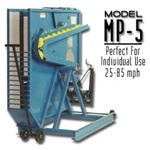 Have questions about pitching machines for that can be used for baseball and softball? Give us a call and we'll be glad to help you find the right machine for your needs and budget.